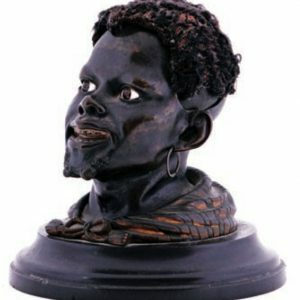 Early 1 lb. 4 oz. 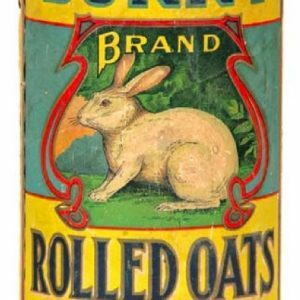 size cardboard oats box for Jane Justice brand (Bauermeister Co. Terre Haute, Indiana), featuring beautiful multi-color graphic image of trademark law school graduate (same image both sides). SKU: 66-23. 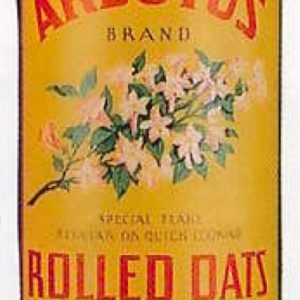 Category: Baking (Powder/Flour/Cocoa/Oats). 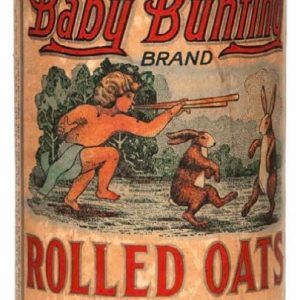 Company/Brand: Bauermeister Co., Jane Justice Oats. 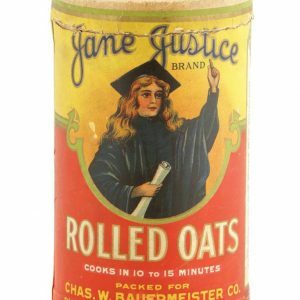 Jane Justice Oats Box: Early 1 lb. 4 oz. 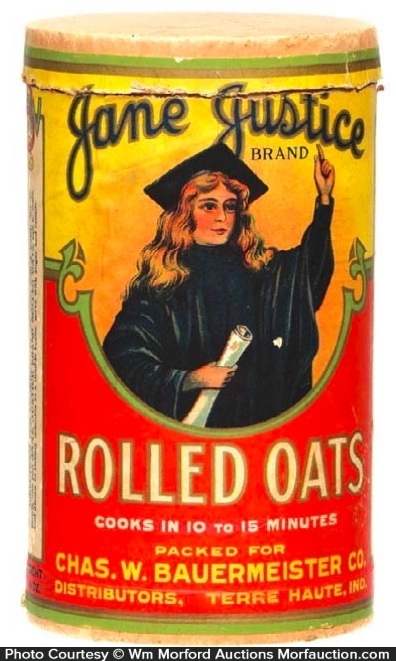 size cardboard oats box for Jane Justice brand (Bauermeister Co. Terre Haute, Indiana), featuring beautiful multi-color graphic image of trademark law school graduate (same image both sides). Clean, bright and excellent (a strong C. 8++) w/ only minor wear.